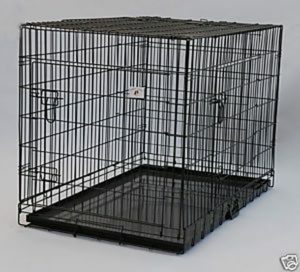 These wire dog crates are extremely well built with an all-metal exterior frame which means that they’ll last a lifetime. 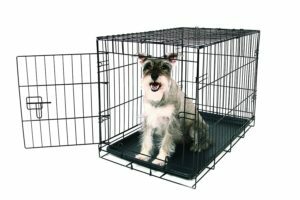 The door or doors depending on the model you get sturdily lock into place which helps keep even the most mischievous pups in the crate. **Sidenote: If your pup is somehow able to find his/her way out of the crate by jiggling or scratching at the door, we’ve found that clipping on carabiners helps to keep that problem at bay. Cleaning a wire dog crate is as easy as sliding a cookie sheet into an oven but instead of cookies, you get a different surprise. These crates come with a slidable base that comes all the way out which makes it simple to keep nice and tidy. Dogs love these wire crates because they can see everything that’s going on around them while feeling safe and secure at the same time. 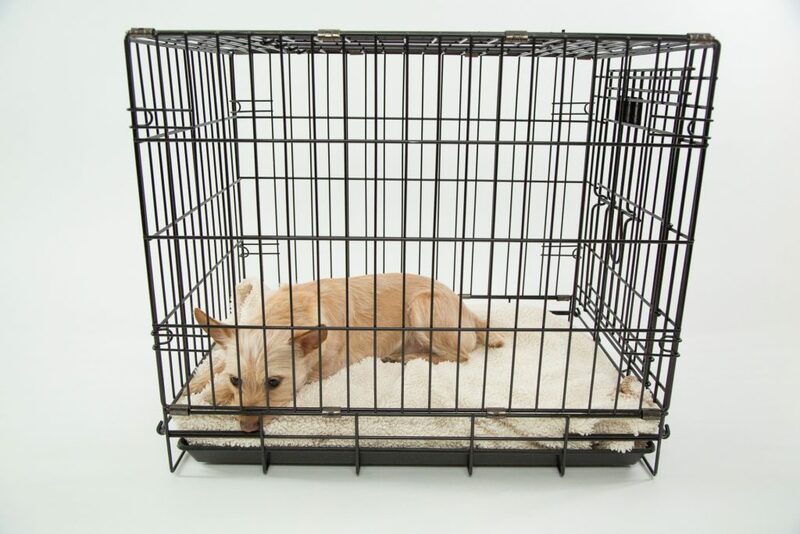 Make sure to put your dog’s favorite bed or blanket in the crate with him or her and they’ll be so comfortable that they wont want to come out. Worried about where you’re going to put your crate when you don’t need it? Not a problem! With just a couple folds, you can condense these crates up to a fraction of their full size. 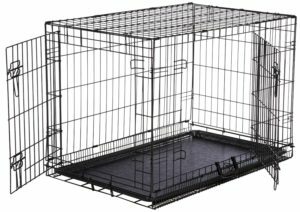 The Midwest iCrate pet crate is our number one choice for the all around best wire dog crate for 2016. It comes with a single or double door option and ranges in size from 18-48 inches. Amazon always makes some high quality products when they decide that there is a high demand and this crate is no exception. It also delivers single and double door options. Unlike the iCrate, Amazon’s crate start’s at a bigger 22 inches and goes up to 48 inches. OxGord is the third choice here at Bo Knows Dogs. They put out a quality crate that definitely deserves some attention. Similar to the top finishers, it comes in sizes ranging from 20-48 inches and also has convenient handles for carrying when you’re transporting it. 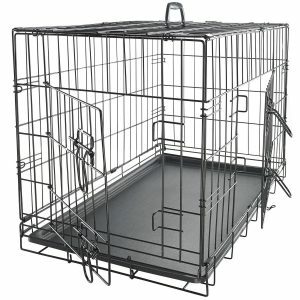 If you’re looking for a great 2 door wire dog crate, BestPet might be your choice. 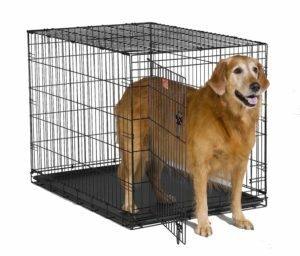 The reason this crate comes in in the fourth position is that they only offer a 48 inch model which is perfect for those large dog breeds out there. The final crate on our list is still a very solid crate but just lacks the size options that the others offer. This crate will be for the small to medium sized pups up to 45 lbs. The dimensions measure in at 30x19x21.